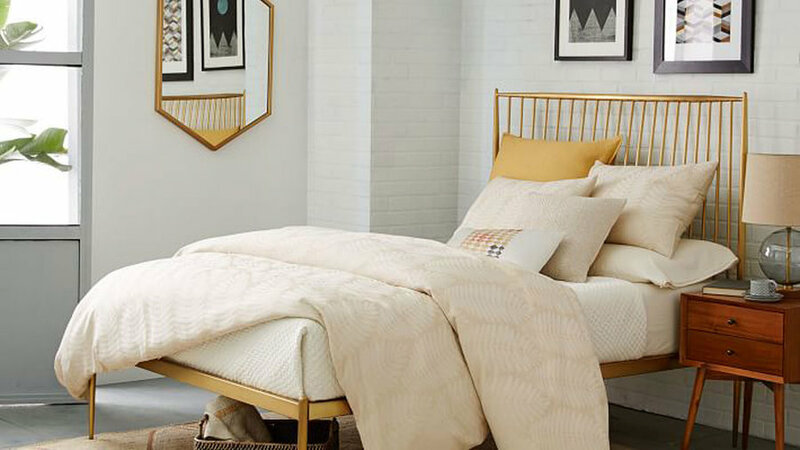 This traditional bed goes luxe with a brass-finished metal. Slender spindles curve gently as the headboard. Long tapered legs supporting the frame free space for under-bed storage. Lose the box spring for a lightweight look. West Elm: Stella Metal Bed in Brass; www.westelm.com/products/stella-metal-bed-brass-h1374. 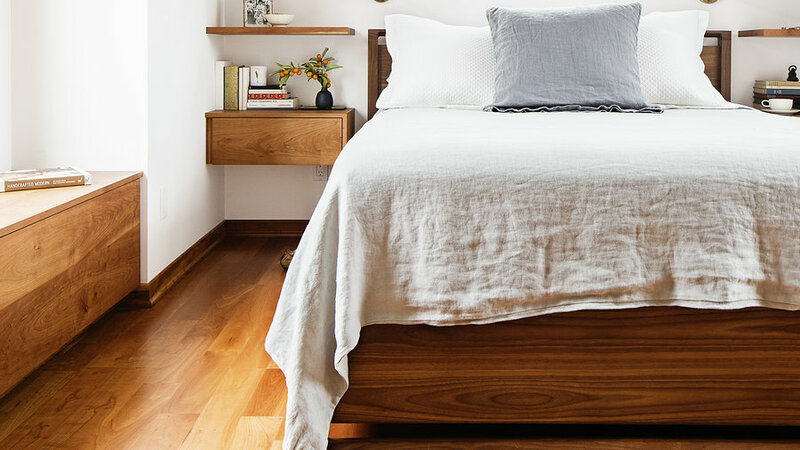 Bring the bed low to the ground with this variation on the simple platform. 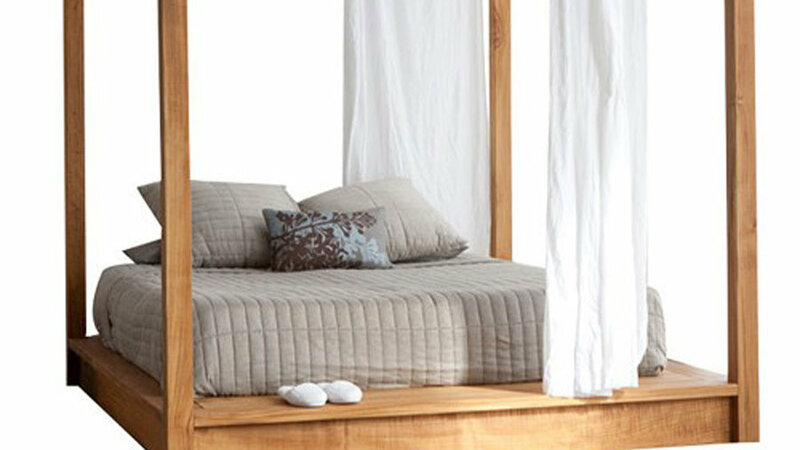 The canopy bed exudes serenity with solid teak, square posts, and no visible hardware. Its clean lines please the minimalist eye, creating a spa-like retreat in the bedroom. YLiving: PCHseries Canopy Bed; www.yliving.com/mash-studios-canopy-bed-pch-95-74-84-w.html. Short on space? The Shana storage bed incorporates two cedar-lined drawers into the frame. This modern compartment bed features muted wood tones and lacquered white borders. It’s perfect for a calming space and easy to customize for any mood. Horchow: Shana Bedroom Furniture; www.horchow.com/Shana-Bedroom-Furniture/cprod96960004/p.prod. The bedroom should be a minimalist place to sleep with no distractions to wake the mind. That’s why the Distrikt Bed’s a winner. 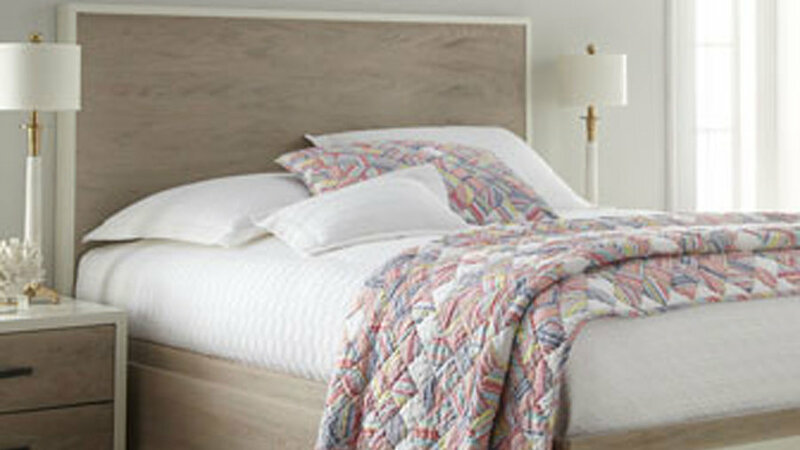 This oak frame supports the mattress, leaving room for touches of your own style. It possesses a timeless railed headboard exhibiting the natural beauty of the hardwood. YLiving: Distrikt Bed. www.yliving.com/district-8-distrikt-bed.html. 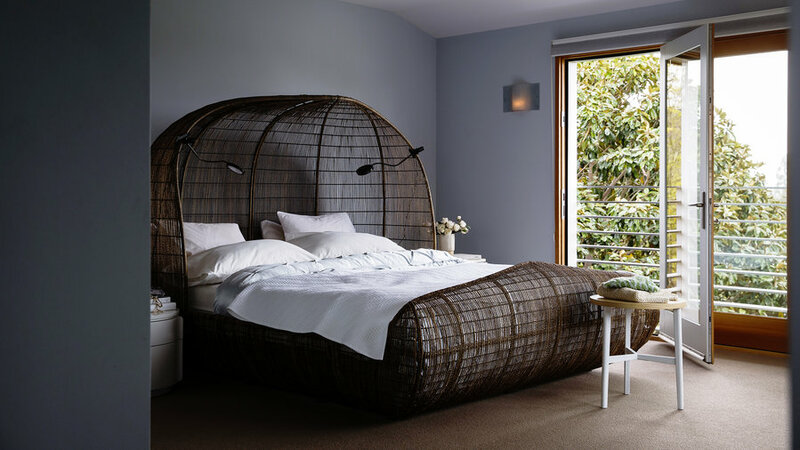 Leave the day behind when crawling into this cozy woven bed. Jody Bretkelly placed it in her 1940s Oakland home. 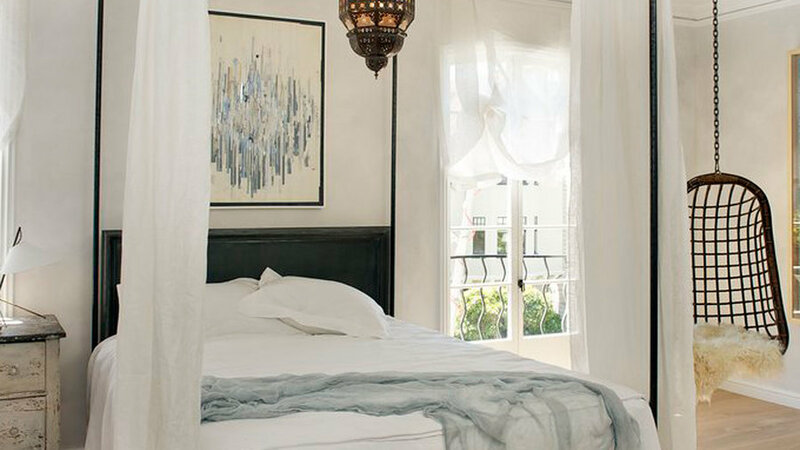 The master bedroom is a serene space for her with ocean-blue walls, the dark bed, and a view of San Francisco. You’ll get the best rest in this nest. Restoration Hardware loved Will Wick’s custom bed so much, they asked him to design a version for them. The Bay Area designer chose soaring 8 1/2-foot posts for his metalworker to craft. “People are afraid to get a bed close to the ceiling because they think it will feel cramped,” he says. “But I thought, Let’s take that chance.” Restoration Hardware: 19th Century French Iron Four-Poster Bed; www.restorationhardware.com/catalog/product/product.jsp?productId=prod2701336. Royalty would sleep here. 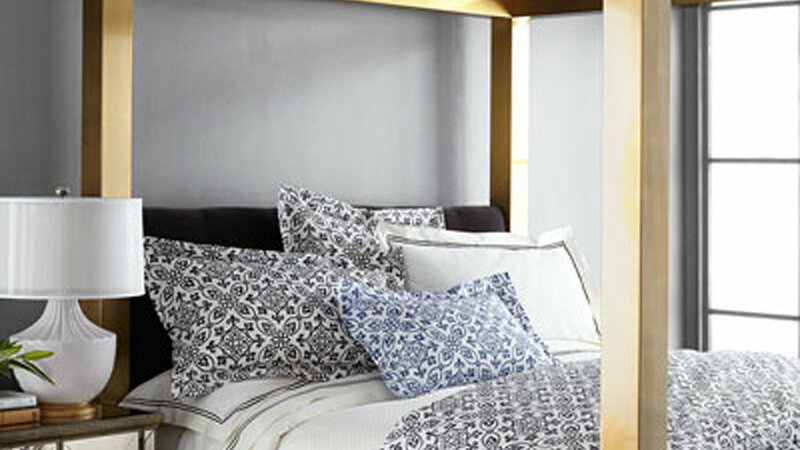 Golden posts paired with a velvet headboard make it the most luxurious of bed frames. Add a canopy or keep it spare; either way, this bed’s your ticket to the glam side of life. Neiman Marcus: Bernhardt Gilded Pressley; www.neimanmarcus.com/Bernhardt-Gilded-Pressley-King-Bed/prod176680427. Have we got a bed for bibliophiles. At the end of the frame, a footboard doubles as a bookcase and a bench. Reclaimed peroba wood finished in natural beeswax makes the headboard. As with most platform beds, no box spring required. Crate & Barrel: Atwood Bed with Bookcase. www.crateandbarrel.com/furniture/beds/atwood-bed-with-bookcase/f42064. 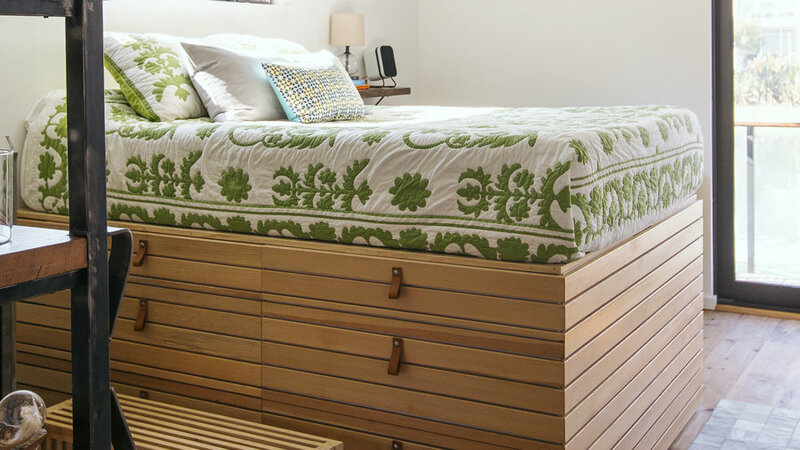 The owners of this floating home got crafty in their master bedroom. They fit together a series of Ikea cabinets and faced them in natural wood. Each drawer features a stylish leather pull. They don’t mind the height of the bed as it gives them a better view of the water outside. Aya Brackett and her husband designed their second bedroom around this bed. It maximizes storage space with three drawers on each side. 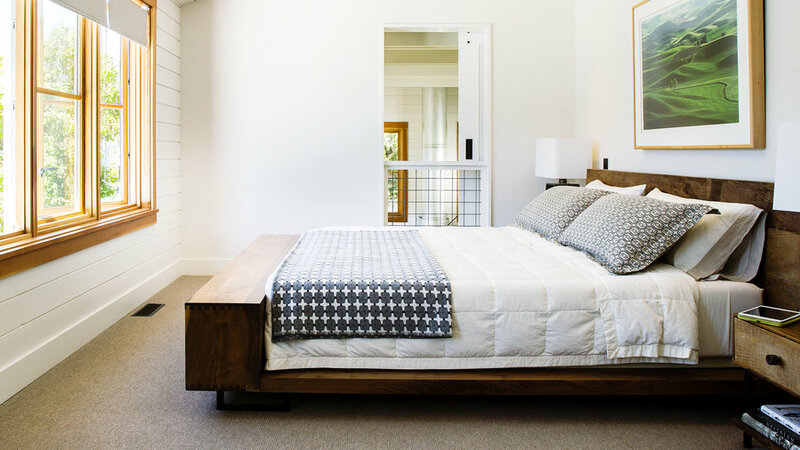 Its clean lines and lifted base give the bed an airy feel. The built-ins are great, but the gorgeous walnut steals the show. 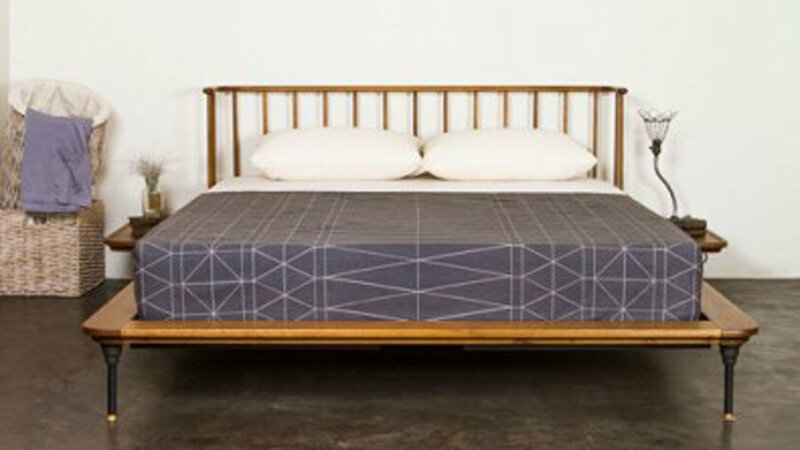 Design Within Reach: Matera Bed with Storage; www.dwr.com/product/matera-bed-with-storage-king.do?sortby=ourPicks.